We have recently moved house and with the heartache and stress behind us, I felt that now was the time to examine and report on the process in order to provide an opportunity to, from a personal perspective, share observations and opinions on the whole process. I have broken down the process into what I see as 4 key steps from the starting point of judging the right method of sale (private sale or with an licensed agent), through choosing the agent, the marketing and then finally the negotiated sale. In the first article I shared the decision making process in judging the right method of sale, whether to try and sell privately, use a traditional licensed agent or try an new emerging online solution. This next section details the process of selecting a traditional agent. Our choice of an agent was extensive, as is common to sellers in major cities and towns throughout the country. The major real estate brands within the industry are all well represented with offices in the local suburb. However the local office presence was of little interest. Our interest was in the individuals rather than the companies.You don’t deal with a company, in the real estate process you deal with the individual agent. We decided that we would select 3 local agents and invite all of them to visit the property and to get them back to present their proposal as to their recommendation for the best approach to marketing and selling our home. Naturally as part of the process we would be interested to learn their assessment as to the value of the property. I think too often people treat the decision making process of choosing an agent as a mock auction with the adjudication based on the appraisal value. The agent isn’t offering to buy your house at that price, so their assessment is nothing more than conjecture - based on professional skills, I accept. So which 3 agents to choose? This is the approach we took. Firstly we would invite the agent who sold the house to us. I am sure this is an often chosen route. They were successful in selling the house last time, they are active in the market, they know the house and they would appreciate better than anyone the changes and improvements we had made. The agents concerned were Marty Hall and Heather Lanting from Ray White - Ponsonby. Our second choice was an local agent that we had met at numerous open homes we had visited. We liked his approach and were avid readers of his weekly market report email which provided a great weekly insight into the new listings and sales of property in the area. This agent was Kirk Vogel from Barfoot & Thompson - Grey Lynn. Our third choice was again a local agent that we had met on occasions whilst viewing open homes. What most significantly drew us to him was the fact that he had in the past few weeks sold a very similar property in the area and this we judged was an excellent opportunity to leverage this specific knowledge as well as the contacts of prospective buyers who may have missed out on that property. 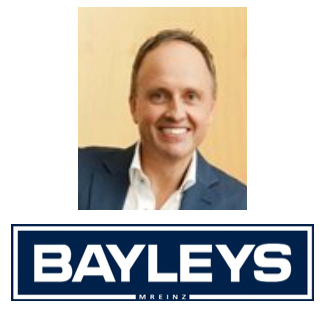 This agent was Blair Haddow of Bayleys - Ponsonby. We ensured that prior to inviting these agents to visit the house we had prepared it to the same presentational standard that we would judge, you would expect from an open-home visit. In my opinion the presentation standard is as important for impact for the agent to experience as it is for potential buyers. There is a sense of wanting to capture the attention and commitment of the agent to want to represent us and our house, as much as us selecting them. Each agent was invited to meet us at our house as a fact finding step, for us to assess them and for them to see the property. Each was then asked to go away and provide a proposal to us as to the approach to selling the property including the recommended method of sale, marketing programme and an assessment of the likely sale price of the property. Allowing time for them to respond, we scheduled sequential meeting times for all 3 parties to present their proposal to us on the same afternoon, thereby allowing us the opportunity to be able to easily assess them, and for us to make a decision and get the property on the market. I can say that the decision of which agent to choose was not an easy decision. I have decided to be very open in detailing not only who was our chosen agent but also to highlight which were the agents who we shortlisted but who did not represent us. In doing so I wish to remain objective. In terms of local presence Ray White Ponsonby and particularly Marty and Heather have a very high profile in the area having sold many houses around our location. Comparing them to Kirk at Barfoot & Thompson and Blair at Bayleys they were the more ‘visible’ option. Having said that our decision not to choose them came down to the accuracy of their appraisal for our property. They neither over-pitched nor undersold the prospective value assessment of the property. However their assessment lacked the contextual relevance that the others did. They benchmarked our property against properties that were significantly different and their range of selling prices spanned too broad a spectrum. This left us with a degree of an unclear picture as to how they came to the conclusion of a property value range which was in its self in our view too wide. Barfoot & Thompson are a strong player right across the Auckland market and across all types of property and prices. However the fact was in considering Kirk Vogel we were selecting him and not Barfoot & Thompson. In that regard we were concerned that the types of properties that he had sold over the recent year were not in the same price range as ours and whilst he had a strong command of the local market intelligence as to what had sold where and by whom when it came down to it he had not sold a “house like ours”. This factor above all others drove our decision not to appoint Kirk to represent us in the sale of our house. Our chosen agent was Blair Haddow of Bayleys. This decision was not made as a result of the exclusion of the other two contenders, far from it, Blair was our clear choice once we had seen all three submit and present their proposals. Blair impressed us in his professional approach to the proposal to market the house, as well as his insight into the local market. However core to our decision was his recent experience with prospective buyers who are looking for a house like ours. It is worth highlighting that the commission fees were discussed with all three selected agents. We wanted to be fair and objective and recognise that a market base fee was appropriate. This did require us to negotiate the fees where necessary with those who were charging higher fees so as to ensure that the fee commission was not a influencing factor in the final decision, in doing so we created a level playing field where price was not the deciding factor. With the decision to appoint Blair came the decision as to the marketing strategy of the property which I will detail in the next article.